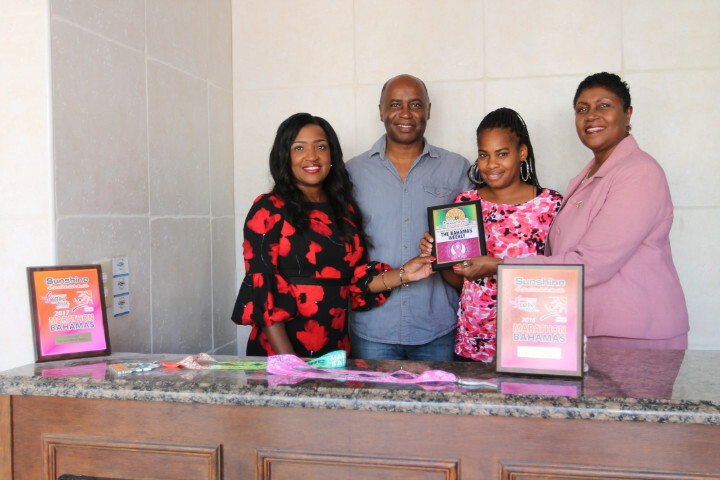 NASSAU, Bahamas – Sunshine Insurance Race Weekend recently thanked its Grand Bahama sponsors who helped make the 2018 event a success. 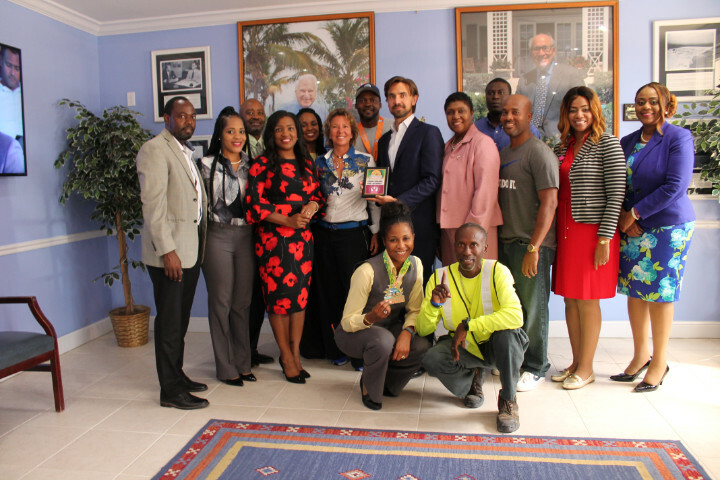 In her first official capacity as Assistant Race Director, Olympian Tonique Williams got the chance to meet sponsors and discuss the race. 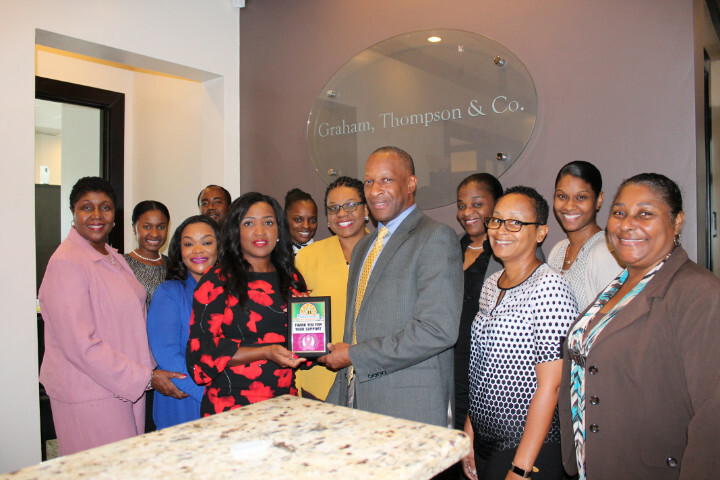 Komen Bahamas Honorary Chairperson, Willie Moss, who is also a senior partner at Graham Thompson & Co, accompanied Ms. Williams as they visited Statoil South Riding Point, Sawyer’s Fresh Market, TheBahamasWeekly.com, the Grand Bahama Port Authority (GBPA), Grand Bahama Power Company (GBPC), Graham Thompson and PharmaChem Technologies. 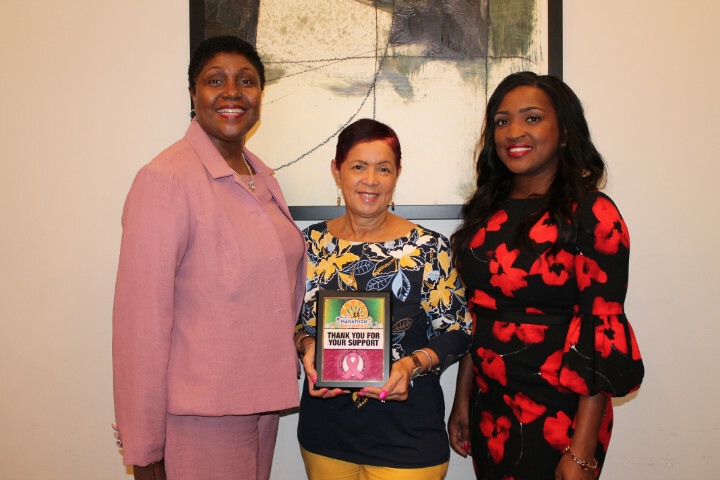 The 10th annual Marathon Bahamas will be held on January 20, 2019. 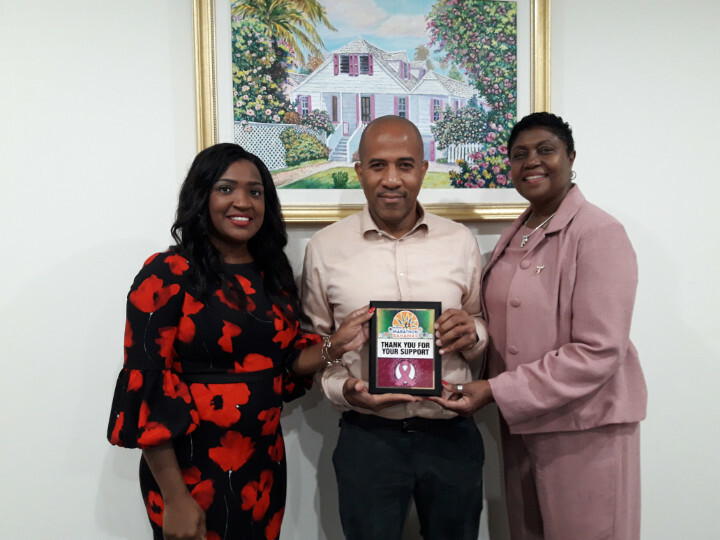 TheBahamasWeekly: Tonique Williams poses with TheBahamasWeekly Co-Founder and Administrator, David Mackey, Mackey Media Account Executive, Celia Mackey and Komen Bahamas Honorary Chairperson, Willie Moss. 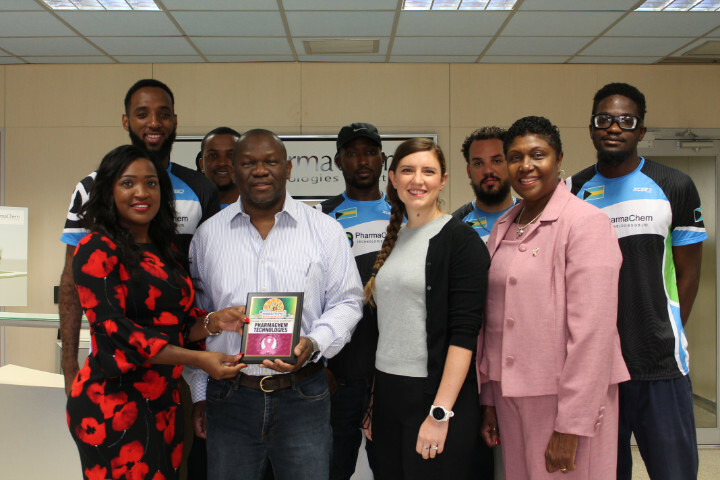 Tonique Williams presents plaque to Grand Bahama Port Authority (GBPA) Limited Vice Chairman, Sarah St. George and GBPA Vice President, Henry St. George while their staff and relay team looks on. 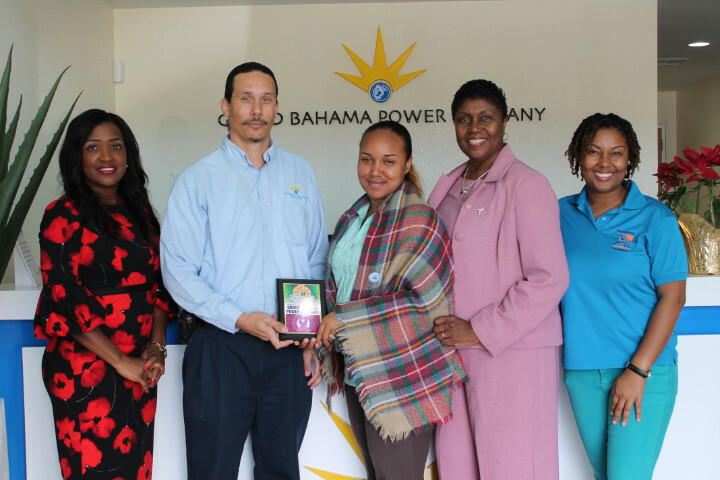 Grand Bahama Power Company: L-R: Tonique Williams presents plaque to Grand Bahama Power Company officials, Brian Cooper and Learline Burrows; Willie Moss and Race Weekend Marketing and PR Chairperson, Rogan Smith.